While occupying completely opposite stations in life—he the head of the universal Church, she a simple Irish girl—their lives were mysteriously linked. He waged war against the modernists of his day; she supported him with her prayers and sufferings and affectionately referred to him as “my Pope.” He prayed for a sign to change the age for reception of First Holy Communion from twelve to seven. She was that sign: at the tender age of four she craved the Eucharist and was granted special permission to receive the Bread of Angels. After her death he obtained a relic of Nellie and prayed to her. The two were thus joined in a marvelous work to preserve baptismal innocence—so easily sullied in our impure modern world—through early reception of Holy Communion. In these days where belief in Our Lord’s True Presence is so weak and when He is so often offended with sacrilegious Communions, it is worthwhile to look back at the life of a child who so profoundly influenced the greatest Pope in the modern era. They were blessed with four children: Thomas, David, Mary, and Ellen who was born on August 24, 1903. From the tender age of two she already displayed a deep spiritual sense. While walking to Mass, hand in hand with her father, she often chattered about “Holy God”: her innocent way of referring to her Creator. William admits not knowing where she learned such things. It was largely due to the religious instruction provided by her mother Mary, who had a deep devotion to the Blessed Mother. The first words Nellie learned from her were “Jesus” and “Mary” and it was a custom of the family to pray the rosary daily. After the example of her mother, Nellie would always kiss the Crucifix and each of the large beads. Mary Organ died of tuberculosis when Nellie was only three and half years old. This was but the first of many sufferings the child would endure during her short life. William Organ was unable to properly care for his children and with the help of a priest they were placed in separate homes. Thomas was sent to the Christian Brothers, while David was taken in by the Sisters of Mercy. Mary and Nellie were welcomed by the Good Shepherd Sisters in Cork, Ireland. This is where Ellen Organ spent the remaining eight months of her life. Once, when all the children gathered in the chapel for Mass, Little Nellie was fascinated with the “singing nun” in the choir loft above and insisted on facing that direction. When told to face the altar she stamped her foot in protest. On another occasion she was unjustly accused of making the other children late for supper. They blamed Little Nellie for their tardiness. When the nun in charge rebuked her, Nellie’s immediate reaction was self-defense. Statue of the Infant of Prague with which Little Nellie played. By this time she was assiduously absorbing the truths of the Faith taught to her by the nuns. She was most particularly enchanted with the life of Our Lord. When she learned the details of His brutal Crucifixion she burst into tears. Displaying an innate understanding of His Omnipotence, she sorrowfully exclaimed, “Why did He allow them to do that to Him?” It was thus explained that He died because of our sins. She thus resolved to accept her own sufferings as a means of atonement and began to make great strides towards sanctity. Along the way she was assisted by rare mystical graces. In the last days of September 1907 Nellie’s health took a turn for the worse. It was feared that she might not survive much longer so Bishop Thomas O’Callaghan agreed to administer the Sacrament of Confirmation on October 8, 1907. As everything related to religion, Little Nellie took this grace seriously and affirmed, “I am now a soldier of Holy God.” This was the turning point in her life. Mother Mary Francis affirmed that never again did she display signs of impatience. Not long afterwards Nellie, who at this stage ate very little, stopped eating all together. She complained of a sore throat which, it was later discovered, was caused by a new tooth. The discomfort children have when teething is nothing compared with this particular tooth which cut its way through at the root of her tongue. She accepted the pain of its removal—without the use of novocaine—without saying a word. As the tuberculosis consumed her body, caries, or tooth decay, ate away her jaw. The foul odor which exuded from the wound was so unbearable that nurses would wince when they rinsed it out with disinfectants. During this procedure Nellie patiently accepted both the pain and humiliation. She would simply hold on to the Crucifix and contemplate the sufferings of Our Savior. Most noteworthy in the life of this child was her burning love for Our Lord in the Blessed Sacrament. In her innocence she was disturbed that Our Lord was “imprisoned.” She referred to the tabernacle as the “lock up,” the Irish term for a jail. When she first saw the Blessed Sacrament exposed in a monstrance she exclaimed, “There He is, there is Holy God.” Nurse Hall described how the child had an expression of ecstasy on her face and never took her eyes off Our Lord while she was in His Presence. From then on, as attested to by caregivers, she knew from her bed of pain when Our Lord was exposed in the monstrance for veneration in the chapel below. As her love for Our Lord, truly present in the Eucharist, grew Little Nellie had a burning desire to receive Him into her heart. In lieu of receiving him sacramentally she opted for the next best thing. She would ask the nuns and nurses who attended Mass to come back and kiss her right after they received. She would then tell them to return to make their thanksgiving. She did likewise. 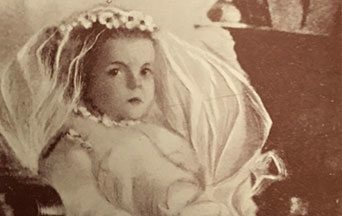 As her tiny body continued to waste away, Mother Mary Francis consulted Father Bury on the prospect of granting Nellie permission to receive her First Communion. The Jesuit priest visited the child and asked some catechetical questions to ascertain her understanding of the Sacrament. When asked what the Eucharist is, she unhesitatingly responded, “It is Holy God. It is He who makes the nuns and everyone else holy.” She also explained with childlike candor how, “Jesus rests on the tongue, then goes into the heart.” Father Bury, convinced Nellie possessed the use of reason, heard her Confession and gave her absolution. He then sought permission from the Bishop to grant this dying child what she most ardently desired. Approval was granted and the date was set for December 9, 1907. Upon hearing the happy news Nellie kept repeating, “Oh, I will have Holy God in my heart, I will have Holy God in my heart.” At that time the Church law required a twelve hour fast for those receiving Communion. Nellie observed this rule in spite of the fact that she was hardly eating anything. The night before her First Communion, her excitement was so great the nuns feared it would damage her already frail health. Hours before receiving however, she was able to compose herself. She became calm and reflective in preparation to finally receive the King of Kings into her heart. When anyone would try to interrupt her preparation she would ask for quiet. Little Nellie in her First Holy Communion dress, prepared to receive Our Lord Jesus Christ. She had an ardent devotion to Our Lord in the Most Blessed Sacrament and a tender devotion to Our Lady. As if to reward this child’s deep devotion, the stench emanating from her diseased jaw completely disappeared for the remainder of her life. Two days later Nellie was enrolled in the Sodality of Our Lady and thus became a Child of Mary. Her illness had advanced to such a point that they feared she might not survive. It was then decided to grant her yet another Sacrament of the Church, Anointing of the Sick. Nellie went on to receive Communion thirty-two times. Her subsequent Communions only grew in fervor as the days of her brief earthly sojourn approached an end. Her preparation to receive Our Lord in the Blessed Sacrament was only outdone by the time she devoted to a proper thanksgiving: something seldom observed by modern-day Catholics. On one occasion she remained in prayer until five in the evening. On that occasion Mother Mary Francis quietly approached her bed to see if she was alright. As if awakened from a trance Nellie turned toward the Mother Superior with a glowing face and said, “Oh Mother, I am so happy. I have been talking to Holy God.” This familiar conversation was not uncommon in the last days of her life. Visitors would often enter her room and, finding her alone, would inquire if she were not lonely or afraid. “No,” she would respond, “I was speaking with Holy God.” When asked what she spoke to Him about she responded, “I cannot say, because He told me not to tell.” As her very brief earthly sojourn was coming to an end such conversations became more frequent and she would often ask to be left alone so she might converse with Holy God. News of this saintly child spread like wild fire in the small town of Cork, Ireland. 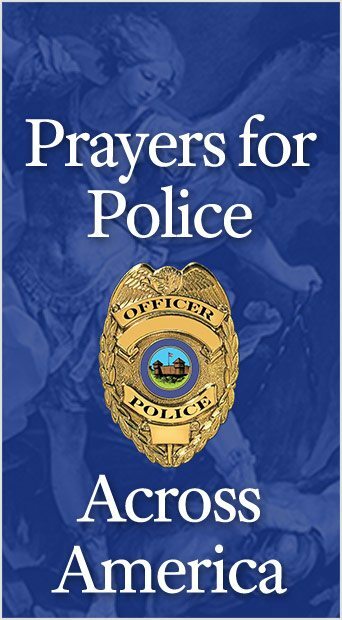 Request for prayers came flooding in from near and far. Sheets were eventually hung behind Nellie’s bed to attach the numerous ex-votos of thanksgiving for prayers answered. Not everyone got what they requested. This child was blessed with a discernment of God’s will, which was seen on one occasion when she was asked to pray for two nuns who were quite ill. With all naturality Nellie promised her prayers, then quickly added: “One of them will recover but the other will not.” And so it was. In spite of these prodigies Nellie remained humble and continued to develop an intense interior life. The requests for such blessings from this child were not uncommon. The day before her death she gave her last one. At this point she was too frail to receive anyone, but a woman who was severely tormented in spirit begged to be admitted to Nellie’s room. Try as she might Mother Mary Francis was unable to deter her and thus allowed the troubled soul to enter. Barely able to speak at this point, Little Nellie garnered enough strength to make the sign of the Cross on this poor woman’s forehead. On this occasion, as if by inspiration, she changed the formula. “May God bless you,” she said, “and comfort you.” Upon leaving the room the woman declared that the moment she received this blessing, her soul completely returned to its former calm. As foretold, her agony began on the morning of “God’s day”, Sunday, February 2, 1908, the Feast of the Purification of Our Lady. She was clothed in her First Communion dress. At three in the afternoon she became very calm and looked intently at “something” at the foot of her bed. She made an attempt to raise herself in that direction but was too weak. However, her gaze did not leave that spot. The look on her face was not the glazed expression of someone dying. Her eyes were filled with tears of joy as she appeared to be speaking to someone. Slowly her eyes moved upward, as if following that “something” over her bed. Moments later, with a smile of perfect satisfaction, she breathed her last. She was only four years, five months and eight days old. Nellie was initially buried in the town cemetery but the nuns who had cared for her lamented the loss of such a predilect child and requested her reburial in the convent cemetery. To the astonishment of those present at her exhumation a year later, Nellie’s body was not only found to be totally incorrupt, but her clothes were in exactly the same condition as the day she was originally buried. Even the holy medal which hung around her neck was still shining. 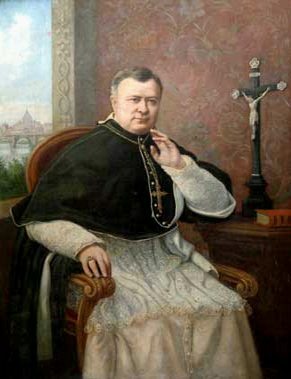 After her death, Pope Saint Pius X learned of Nellie’s extraordinary life from his Secretary of State, Cardinal Merry del Val. The holy Pontiff immediately recognized it as a sign he had prayed for, to know if it was the case to allow children of seven to receive their First Communion. He immediately requested a lock of hair which was provided by Nellie’s sister Mary. Part of the relic was given to Cardinal Merry del Val. The story of Little Nellie quickly spread. Biographies appeared in various languages including Japanese and Dutch. The most noteworthy however was that of Frenchman, Fr. Bernard des Ronces. This account of Little Nellie’s life was presented to the Pope. The saintly Pontiff was enchanted with the gift but upon hearing her name his features lit up with a kindly smile. “She was a little angel,” he affirmed. “Her patience was admirable, her resignation in suffering perfect. Moreover, she showed a superior intelligence in supernatural matters. As for her innocence, it is beyond doubt…she was an angel, living with angels.” As he leafed through the book he remarked, “From a little life you have made a big book.” Then as he came to a picture of Nellie he exclaimed, “Ah, there she is,” and gazed at it admiringly. The last days of this victim soul were ones of excruciating pain as the tuberculosis devoured her tiny frame. Yet Nellie showed no fear of her approaching death. 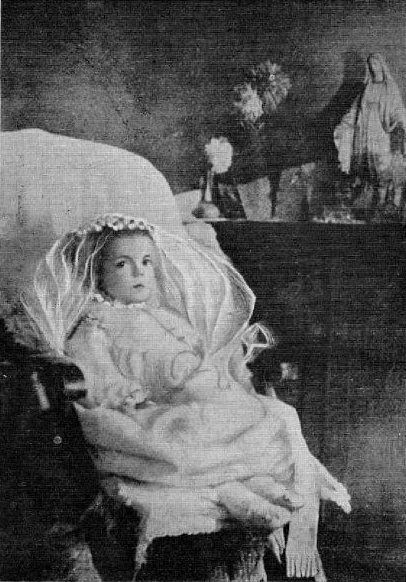 On the contrary she told the nuns she would fly to Our Lord, “on His Own day” and “I will wear my First Communion dress.” As foretold, she died on Sunday, February 2, 1908, the Feast of the Purification of Our Lady, being four years, five months and eight days old. The Pope went on to write his marvelous encyclical Quam Singulari. He argued that to deny children the “embrace of Christ” was thus depriving them of “the food of their interior life,” which placed their first innocence in danger. This change in Church practice might have never occurred if not for an extraordinary little girl named Ellen Organ. If she is ever raised to the altars, she will be the youngest canonized saint not martyred. Irish currency of the time. This entry was posted in Catholic Perspective and tagged Blessed Sacrament, Catholic, Christian, faith, Family, God, honor, Jesus, Law, life, Mary, moral, Order, rosary, Rule of Honor, Saint, value by Norman Fulkerson. Bookmark the permalink.